Tara Foy - DWDE LTD.
﻿Tara Foy, international choreographer, director, teacher and performer. Born and raised in London England. Ms. Foy started her theatrical career as a child model and received her early training at the first Academy of Education and Arts. At 16 she was awarded a full scholarship to the prestigious Royal Ballet School studying with the finest elite teachers in the country. She was personally coached by Dame Ninette de Valois, founder of Sadler's Wells Royal Ballet where she performed all the major classics. While there, she was selected to travel to Russia and studied with both The Kirov and The Bolshoi schools as an exchange student. She continued her early professional career with The London Festival Ballet directed by Natalia Markarova and was a Principal with The Dublin City Ballet in Ireland. She represented Ireland in the International Madame Ohya Ballet Competition in Osaka, Japan and was awarded the "Excellence in Art" title from the Northern Arts Council along with a key to the city. Ms. Foy went on to perform at London's West End starring in the role of Tiger Lilly in the Musical "Peter Pan". Tara has also had the pleasure of performing in classic Las Vegas shows such as Siegfried and Roy, at The Mirage EFX, Hits, Comedy Cabaret, and Enter the Night at the legendary Stardust Hotel and The Tournament of Kings for the last ten years. As an accomplished aerographer Tara has worked with artists such as David Bowie, The Backstreet Boys, Garth Brooks and Paula Abdul, creating the number "Blowing Kissing" for her Spellbound Tour. In 2000, Tara was invited to choreograph and perform at The Summer Olympic Games in Sydney, Australia. Tara is also the resident choreographer for the Paul Mitchell Symposiums, nationally and internationally. She is a world renowned ballet mistress coaching principal dancers from New York City Ballet, American Ballet Theatre, Dance Theatre of Harlem, The National Ballet of Cuba, The National Ballet of Canada, The Bolshoi, and Kirov Ballet, just to name a few. Tara is currently the resident ballet mistress for all of the Cirque du Soleil shows in Las Vegas, most recently working on the new Criss Angel Cirque show "Believe". 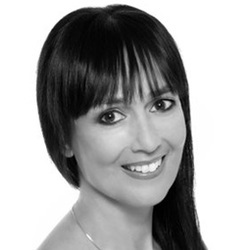 Tara is the Artistic Director of The Dance Center, the number one professional dance studio in Las Vegas. Home to the stars of such shows as Cirque du Soleil, Celine Dion "A New Day", "Cher", Bette Midler "The Showgirl Must Go On", "Jubilee! ", "Follies Bergere", "Le Reve", "Phantom The Las Vegas Spectacular", "Spamalot", "Mamma Mia", "The Producers", Toni Braxton "Revealed", as well as the Donny and Marie Osmond show. The Dance Center is also home to The Elite Ballet Intensive, founded and directed by Tara, which is celebrating its 10th anniversary training the countries finest ballet students. As a Master Class teacher she travels extensively and has been the Ballet Mistress for West Coast Dance Explosion, Notre Dame de Paris, Havana Nights and Phantom of The Opera. She is also a guest teacher and currently a guest artist for The Nevada Ballet Theatre. She is a certified Dance Medicine Specialist working at the DKK Physical Therapy Institute where she specializes in orthopedics, sports, dance and wellness cross training for professional dancers, gymnasts and athletes such as Cheetah Rivera, Tommy Tune, Gillian Lynn, Jason Giambi of the New York Yankees and the PGA's Tiger Woods.